Allegra Boverman/Gloucester Daily Times. 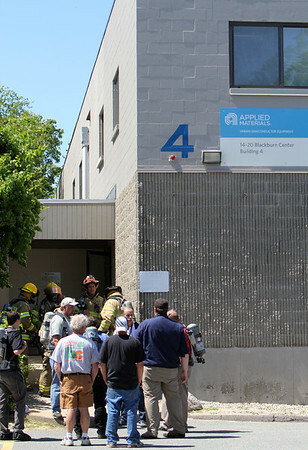 Gloucester firefighters were assisting Applied Materials/Varian Semiconductor internal emergency response teams at one of their buildings on Wednesday afternoon where a chemical leak took place. Employees were evacuated from the building for a few hours.